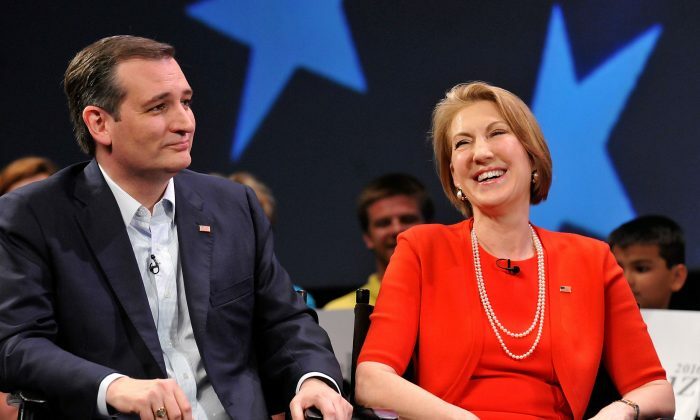 Carly Fiorina, is mostly known as a former CEO of Hewlett-Packard (HP). She was hired by the company in 1999. After 6 years with HP she was fired after leading a major merger with computer company Compaq and laying off 30,000 employees. But before she was a CEO, the Stanford University graduate began her career as a secretary, earned an MBA, and became a senior executive at AT&T. Fiorina was the only woman in the Republican Party’s 2016 race to the White House. She made a big step into politics in 2010 when she ran for the Senate in California. Fiorina lost that race to incumbent Sen. Barbara Boxer by 10 percentage points. She has never been elected to office. After dropping out of the presidential race earlier this year, she has been fiercely campaigning for Sen. Ted Cruz around the country. “Of all the people who didn’t make it far in the race, she was one of the best about laying out her plan, talking about who she is and her accomplishments,” said Doug De Groote, a fundraiser for Cruz. “Would anyone vote for that? Can you imagine that, the face of our next president. I mean, she’s a woman, and I’m not s’posedta say bad things, but really, folks, come on. Are we serious?” he added. But Fiorina showed class when she told Trump he “missed the point” when he tried to apologize for his comments by calling her “beautiful” during a Republican debate. “The point is, whether a man thinks you’re homely or a man thinks you’re beautiful, it’s not a topic of conversation when a woman is trying to do a job–whether it’s president of the United States or secretary or anything else,” Fiorina told People magazine. Fiorina has carried out some attacks of her own. During a Fox Business network Republican debate she had some comments directed to Democrat Hillary Clinton. The former CEO also criticized Clinton’s private email scandal. During a Republican presidential debate in Simi Valley, California, last year Fiorina made a personal statement regarding drugs. Fiorina lost her stepdaughter, Lori Ann Fiorina, to drugs in 2009. The former CEO dedicated her second book “Rising to the Challenge” to Lori, who died at the age of 35.